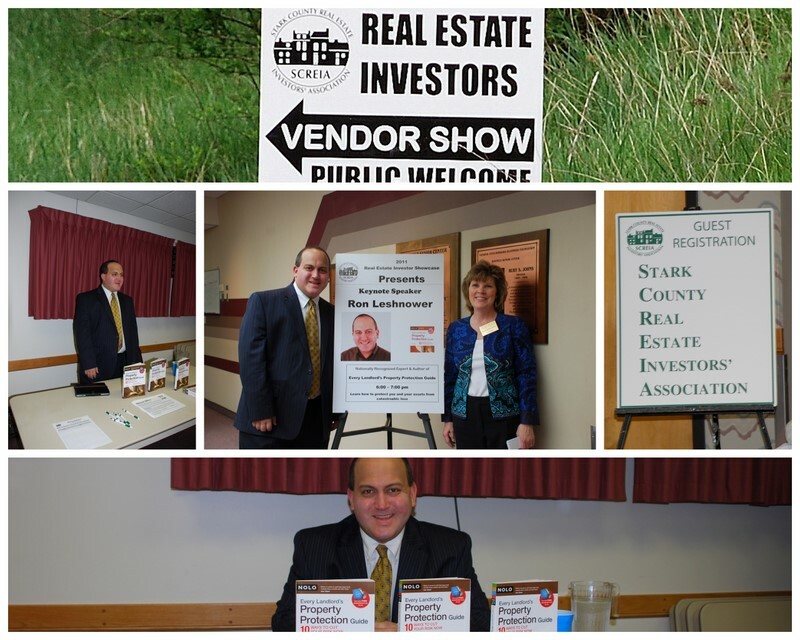 On April 26, the Stark County Real Estate Investors' Association (SCREIA) held its 2011 Real Estate Investor Showcase in Canton, Ohio, and I had the pleasure of appearing as the keynote speaker. 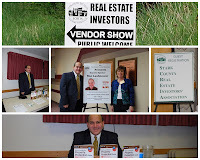 My presentation, "How to Protect Yourself and Your Property from Risk," based on my book, Every Landlord's Property Protection Guide (Nolo 2008) (paperback | Kindle), offers proactive steps that residential property owners and managers can take to shield themselves and their assets from loss. It was particularly fitting that the Showcase was held in April, which is Fair Housing Month, since one important way to lower, if not avoid, liability is to become more familiar with housing discrimination laws. For instance, in addition to understanding your rights and obligations under the federal Fair Housing Act (FHA), property owners in Ohio must also learn about the state's similar law, which adds ancestry and military status as protected classes. Many thanks to Program Chair Marilynn Doll (pictured in this photo collage) for inviting me to speak, and kudos to her and SCREIA for putting together such an informative and successful event.